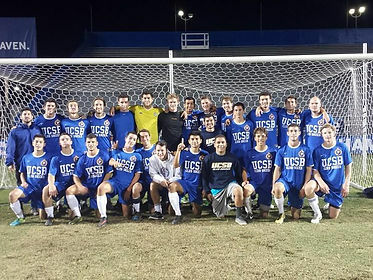 The West Coast Soccer Assocation would like to congratluate the UCSB Men's Soccer Program for Team of the Week. UCSB had two games this past weekend. The first was against West Los Angeles College and the Gauchos won 12-1. The second game was against CSUN and won 9-0. Both games were strong offensive performances. "We wanted to try and work on some things during these games and we executed our game plan early on and dictated the game from start to finish" state UCSB Captain Watson Berreman. UCSB is one of several teams to Capture NIRSA National Championship. They are looking to qualify for this year event next week at UCLA NIRSA Regional Tournament. "We had great support from our fans and would like to thank everyone who came out and supported us." states Senior Daniel Connell. "I don't know it may just be but I really got a feeling that we could catch fire and have a great season. We were able to get a lot of players on the field and try some different things in both the games." -states UCSB Coach Joe Ferreira.